3 pools available for use by all guests - all clean and very well maintained; property walking distance to a top rated beach with sunbeds and umbrellas; extremely convenient to the airport - surprisingly, plane noise is not an issue.There is on-site dining including the option to enjoy the buffet or menu a la carte/made to order for breakfast. Very affordable and family friendly property. Nice size balconies with seating and clothes-lines to dry towels and bathing suits. Lots of parking space available. Lovely pool, very friendly staff, good value for money. Just spent 2 weeks at this great property in a fab location enhanced by the extremely friendly staff. A special mention for Eric (ketch-up cashier) Angela, George and Jacob. Can't praise this property enough - excellent holiday. The staff was Amazing a very friendly atmosphere, the food at the restaurant was quite good. Lovely owners and a great location if arriving late or leaving early as it is next to the airport. Nice beach with snack bar about 10 minutes walk away. The outside of the apartments are much nicer than the interiors though. Certainly a cheap place to stay. The restaurant was good value too. Friendly staff. Everything from the staff, to the location to the quality of the food. Everything was spectacular. Will definitely be returning soon. 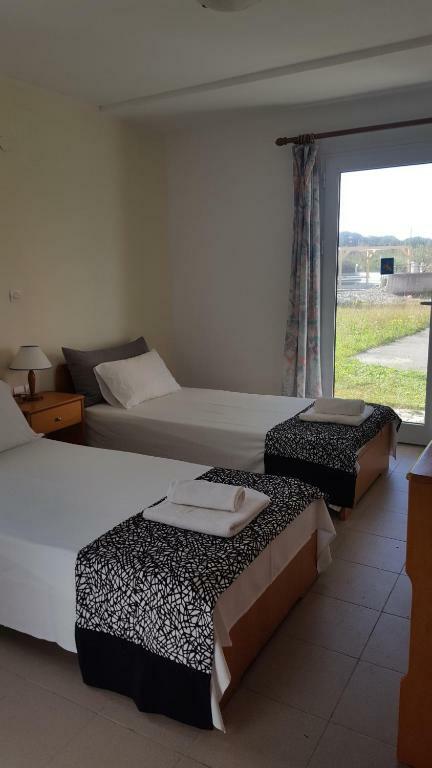 Location only 25 min walking to the airport and 5 min to the nice beach and bus stop. 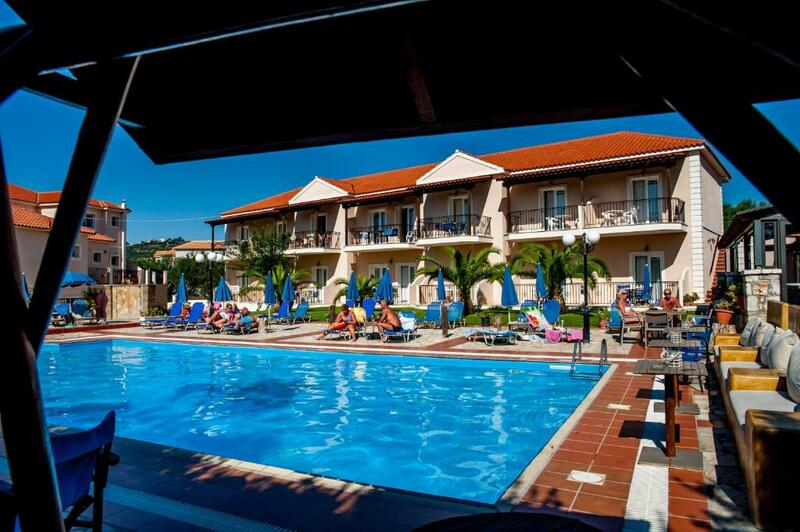 It’ s nice place to start or finish your adventure in Kefalonia. 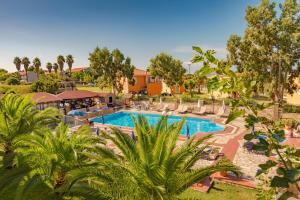 Very helpful and friendly staff, 3 swimming pools. Amazing view on the sea from my room, you can watch sunset not moving from your bed. staff good interactive with customer and good responding minutes walk distance to the beach and the sea and airport as well. 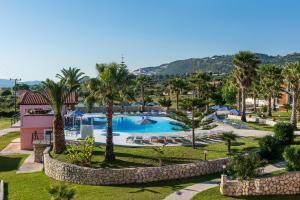 Lock in a great price for Sotiris Studios – rated 8.1 by recent guests! 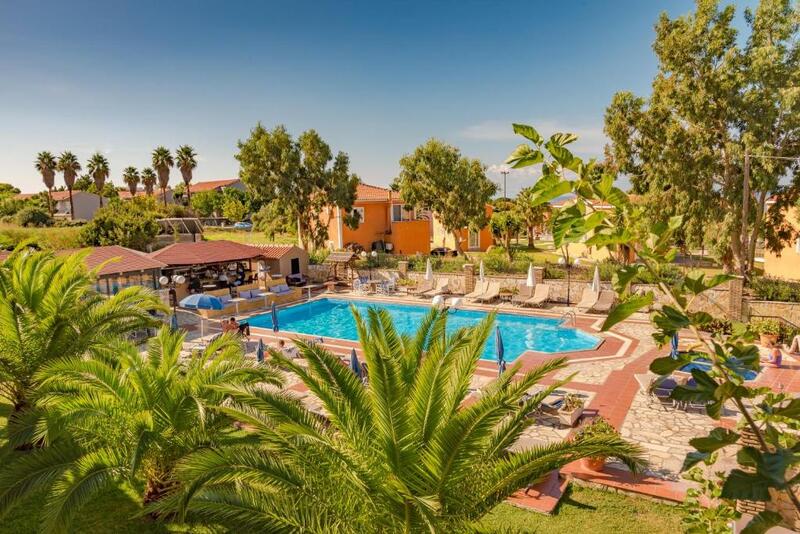 Sotiris Studios This rating is a reflection of how the property compares to the industry standard when it comes to price, facilities and services available. It's based on a self-evaluation by the property. Use this rating to help choose your stay! 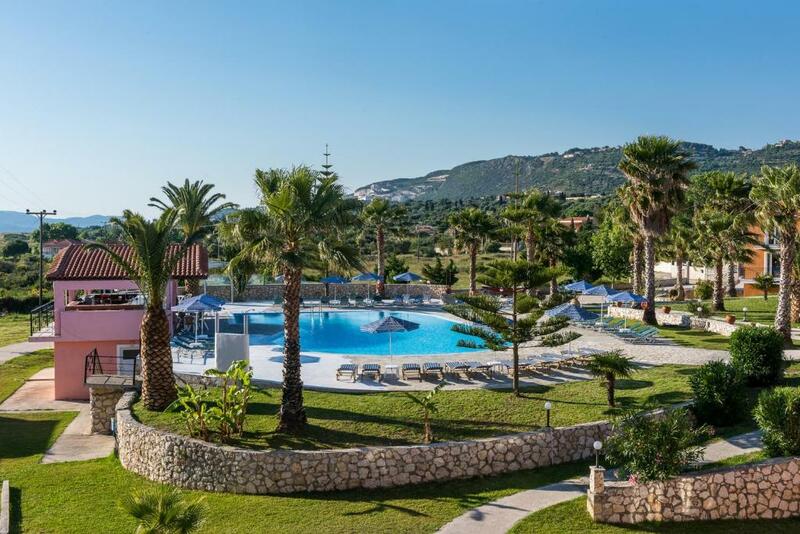 Only 650 feet from Ammes Beach, Sotiris Studios features an outdoor pool with sun loungers, surrounded by a well-tended garden. It offers self-catered accommodations, a poolside bar and a restaurant. Free Wi-Fi is available in public areas. Enjoying Ionian Sea view from their balcony, all studios and apartments are bright and simply furnished. A mini fridge, coffee maker and kettle are provided in their kitchenette. The private bathroom is stocked with a hairdryer. Guests can find a mini market at 500 feet and a bus stop, 0.6 mi away from Sotiris Studios. Kefalonia Airport is only 0.9 mi away. Free parking is possible on site. 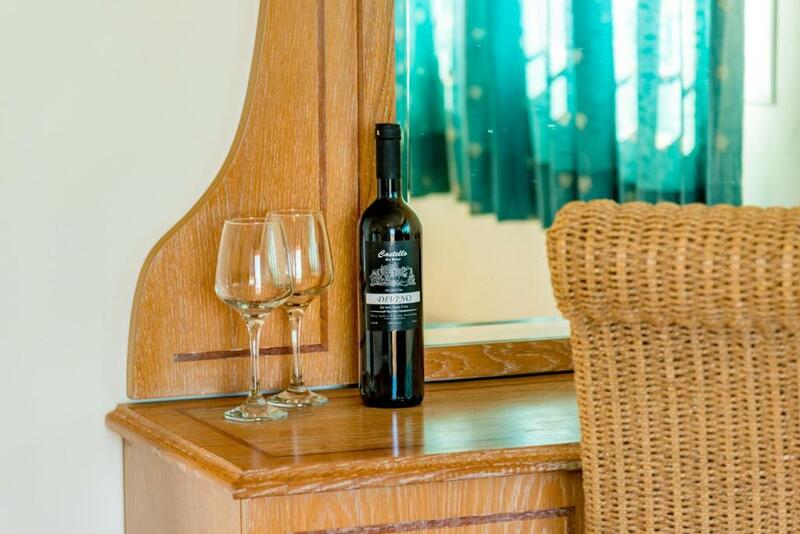 When would you like to stay at Sotiris Studios? 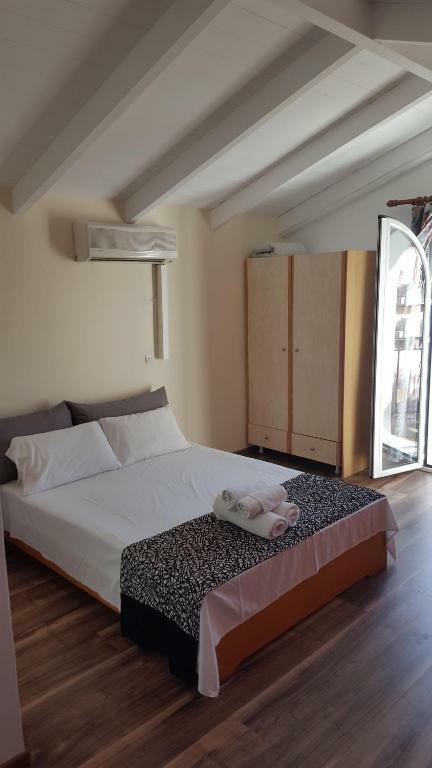 Enjoying Ionian Sea view from its balcony, this studio is bright and simply furnished. A mini fridge, coffee maker and kettle are provided in the kitchenette. 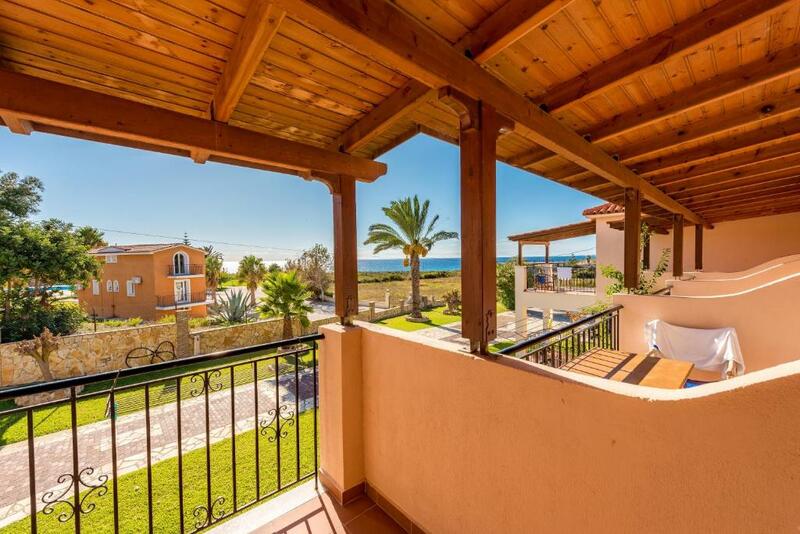 Enjoying Ionian Sea view from its balcony, this apartment is bright and simply furnished. A mini fridge, coffee maker and kettle are provided in the kitchenette. This villa features a balcony, private entrance and electric kettle. House Rules Sotiris Studios takes special requests – add in the next step! Sotiris Studios accepts these cards and reserves the right to temporarily hold an amount prior to arrival. Quality of the breakfast. Difficult to find reception! The bathroom shower could do with a bit of an upgrade. Shower hook to hold the shower head and a bit of a better curtain system. Other than that, it cannot really be faulted. The staff, including the owner, were extremely friendly, nice, helpful. They met all our requirements and helped us greatly with all of our needs. The location is quite beautiful. The place has three swimming pools for you to chose from. The main one nearer the studios, has an amazing bar next to it, where you can also order drinks and food to your sunbed. The room/studio is spacious and really nice. Only the bathroom has seen better days, and it could do with a shower hook to hold the shower head, and a fix to the curtains as some water comes out while you're showering. The room has a fridge and a little kitchen and utensils to have small meals in if you want. The location is great. You can walk to the airport if you like, or use a 3 mins car ride. The beatch is also nearby, a 6 mins walk, and it's all sandy and really nice water. The studios also allowed us to stay longer in the pool on the day of departure, and use showers before taking our flight, as well as keeping our luggage if we wanted to (although in the end we kept it in the trunk of the car). The only issue I can see it's that's a bit expensive for me to go back on my own. Otherwise, I would gladly go back for more frequent breaks! The room was a little old and run down, but still very comfortable. You have to upgrade the housekeeping more. All room types are surprisingly small. The beds were uncomfortable (even by Greek standards). Balconies and patios offer no privacy. Note there is no TV in the room and the WiFi was spotty at best. The furniture is extremely basic, not in the best condition. There was no seating inside the rooms. No towels provided for use at the pools (bring your own beach towel). The rooms didn’t have much to them, the beds were uncomfortable, and our room was infested with mosquitos. No reception so you just hang around the pool area waiting for someone to notice you. Not really in a very picturesque area and there are far nicer places to base yourself on this lovely island. The rooms are really basic (although we had quite a nice bathroom). The fridge had seen better days and really needed replacing. Drinks are really expensive for the basic nature of the place.